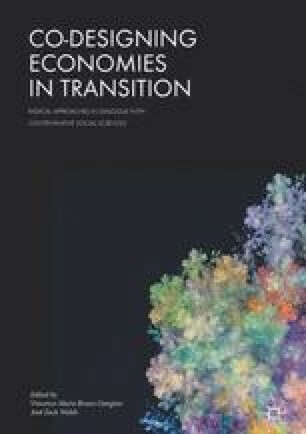 Bjørnholt offers a reflection on 25 years of feminist economics, providing illustrative examples of how feminist academic critique, within and outside of academia, in combination with civil engagement, has evolved, promoting change towards better economics, better policies and well-being for all. Mirroring the widening scope over time of feminist economics, Bjørnholt discusses the exclusion of care and other life-sustaining, unpaid work from systems of national accounts and efforts to make them count; efforts to achieve gender justice through gender-responsive budgeting; the effort to bring society’s attention to the extent of domestic violence and its consequences; and understanding economics as social provisioning, which considers the responsibility to care for everything, including human rights and our shared living space Earth, when assessing the consequences of macroeconomic policy. I am indebted to Iulie Aslaksen (Statistics Norway) and emerita Charlotte Koren (Norwegian Sosial Research) for useful comments and suggestions.